Friends staying at La Fraissinède take their drone for a flight over the property to give you an amazing birds-eye view. 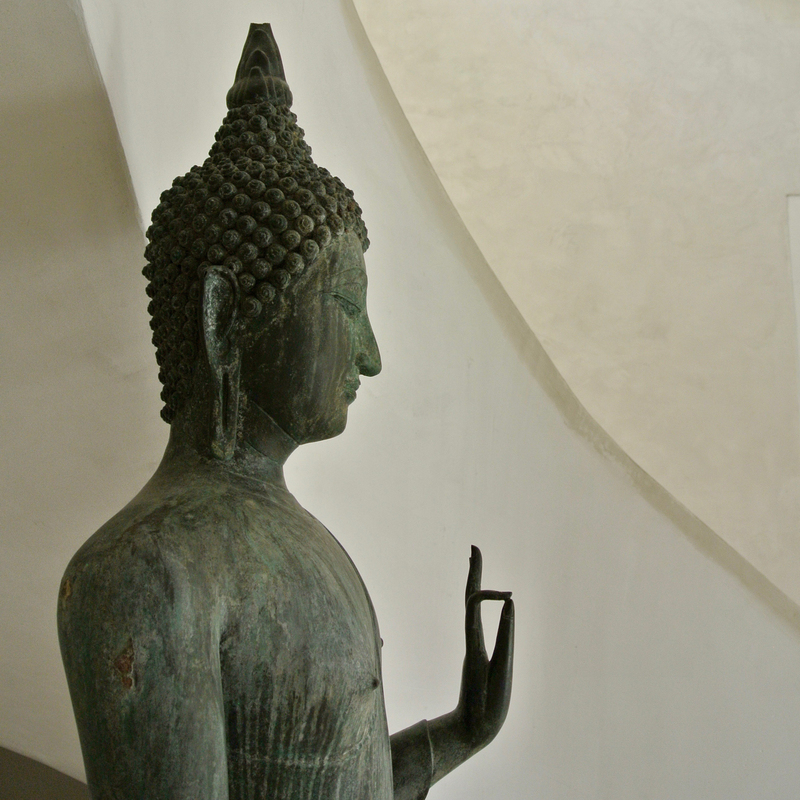 Run by Evolve Space, they create bespoke yoga trips for groups of 10 or less. Breakfast, lunch and dinner will be prepared by one of our favourite chefs Helena Szczypka, who will be providing delicious but nutritional and seasonal cuisine. Erin who will be running the yoga and meditation classes teaches Vinyasa, Anusura, Restorative yoga in Hatha tradition. Check in after 22nd May to see how it went as you might be tempted to book a space on our retreat later in the year. We're thrilled to announce that our first concept sculpture for La Fraissinède Sculpture Park has been accepted to Centre Pompidou in Paris as part of their permanent collection. 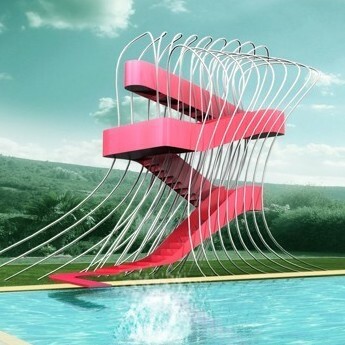 This is the beginning of our vision for something truly special and unique at La Fraissinède, a sculpture park surrounded by the beautiful Corbieres mountains in the South of France, showcasing the most exciting new and established artists. Five years ago I was sitting by the pool with my friend from New York, the architect and designer Antonio Pio Saracino, when we started discussing what fun it would be to design an extraordinary diving board that also was a sculpture and gave the opportunity to gain better views of the magnificent Pyrenees in the distance. Antonio delivered the concept drawings a few months later to my and Ted’s delight. Sadly the cost of production was prohibitive at the time. Fast forward to 2015 and I was living in Paris and had introduced Antonio to my friend Juliana Santa Cruz the renowned artist/producer/curator and she agreed to take on the project of curating a sculpture park at La Fraissinède and also representing Antonio. Juliana told me that for the diving board to gain recognition it needed to be in a permanent collection and we needed to have a maquette made. This done Juliana worked her magic and this week the Fraissinède viewing platform sculpture entered the permanent collection at The Centre Pompidou in Paris. Juliana is currently compiling a proposal for The Arts Council UK for a competition and residency at La Fraissinède and the start of what we hope will be a unique sculpture park in the future. We will keep you updated as it develops. Whilst you will not find Le Club 55 or Nicki beach there are some real treasurers dotted along the coast where you can enjoy an enjoyable and lazy lunch at a price that is affordable and eat delicious fresh seafood in the beautiful simplicity of unspoilt coastal surroundings. Closest to the house is Narbonne Plage where you will find plenty of cute eateries and even a little bit of St Tropez in the form of La Voile Rouge whilst not a sister to the more famous one it has all the necessary trapping for a fun day at the beach, bar, loungers, cute waiters and waitresses and miles of sand! 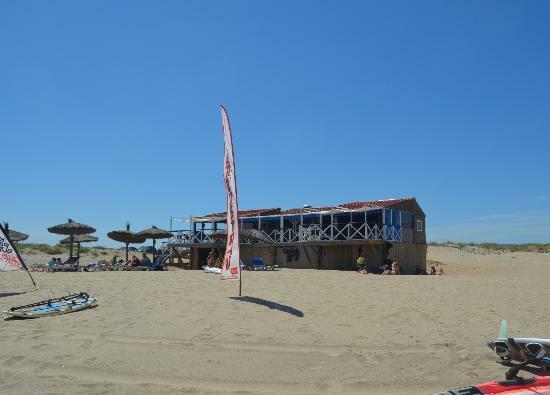 For a more rustic experience you just need to head further south to Le Franki and Leucate Plages and experience the bohemian wonder of Les Pilotis a restaurant built on stilts on the beach with comfy sofas, blue and white awnings and lounge music wafting down the beach! Both of these beaches are within 40 minutes of the house and well worth a visit when you feel you can tear yourself away from the compound! We love this video of Languedoc roads. Not one of our own but it really captures a sense of the area and the beauty of the changing seasons. Those rugged flat-topped mountains are so evocative of the South of France. Driving the last few kilometres to the house is always special for us, each twist and turn in the road reveals another idyllic scene and takes us deeper into the countryside and closer to La Frassinède – a truly special place. We love coming to La Fraissinède in autumn and winter. If there’s a low season weekend available, we’ll be down there like a shot. It’s an entirely different experience to summer of course, but can be equally special. 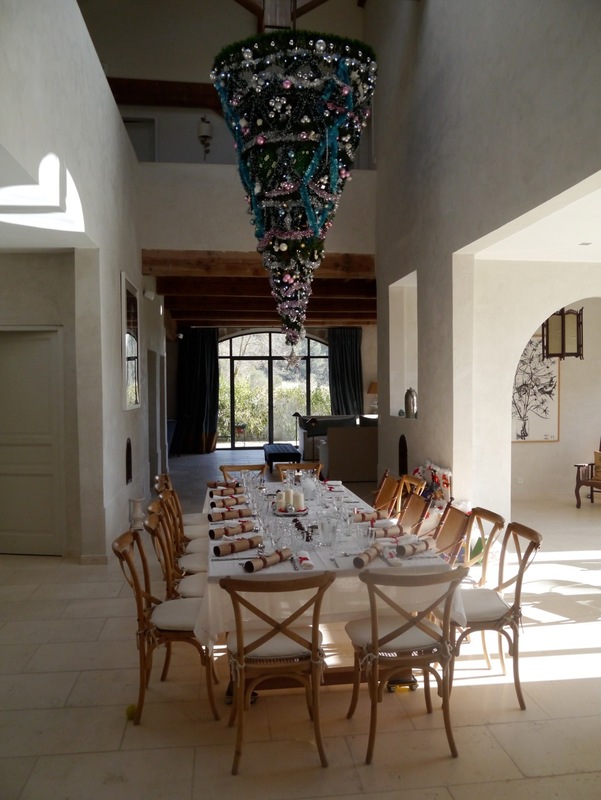 A winter break in the South of France with a large group of friends for a house party is always a great deal of fun. Last Christmas there was 14 of us. The smell of wood smoke hung in the air as we passed through the sleepy villages on the way to the house. It was late afternoon, and the long rays gleamed through the few remaining leaves on the vines-laser lights of crimson and gold. The fireplace in the kitchen blazed and we were enveloped in its warmth as we dropped our things and took the glasses of red wine on offer. The heavenly aroma of dinner wafted through the pine from the Christmas tree - the setting was the perfect backdrop for the festive season. The house is toasty throughout in winter and always have all the fires going. There is so much to do. We like to take quick walk up the hill to catch a glimpse of the snowy peaks of the Pyrenees, then make a trip to the market in the main square in Carcassonne for cheeses, delicacies and Christmas treats, stopping for a coffee (and something stronger) in the Café Felix in the square to watch the Christmas revelry. Then off to Hediard to buy more wine, then a couple of stops at vineyards on the way home for further grape insurance. Always on the agenda are skiing and tobogganing (a couple of hours away in the mountains), some bike rides in the winter sunshine, a walk to the top of the Montagne Alaric for the inspiration and views, a trip to Lagrasse, one of the most beautiful villages in France, for vin chauds in the square, and the irony of walking on a Mediterranean beach in the winter time. Of course, we are biased but La Fraissède is truly magical in winter and offers great value for a quick weekend away in rural France with friends or family.